The thick, absorbent microfiber pad deep cleans as it lifts and locks dirt away. Remove pad easily with the velcro attachment, to machine wash and reuse for up to 100 times. Neck swivels 360 degrees for extra control and to reach tough spots. Excellent for wood, laminate, tile, marble, linoleum, stone and more. 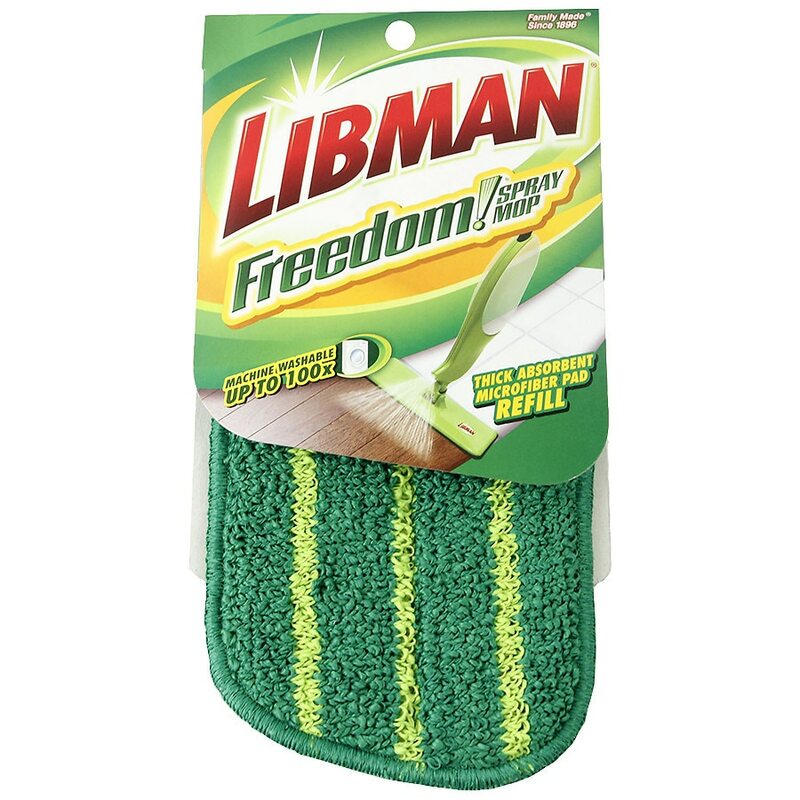 Libman isn't just a company. It's our family name. We take personal pride in our products and stand behind them. That's why we have been the cleaning experts since 1896. If you're not completely satisfied, please call 877-818-3380. Machine or hand wash cold, no bleach. Hang to dry..